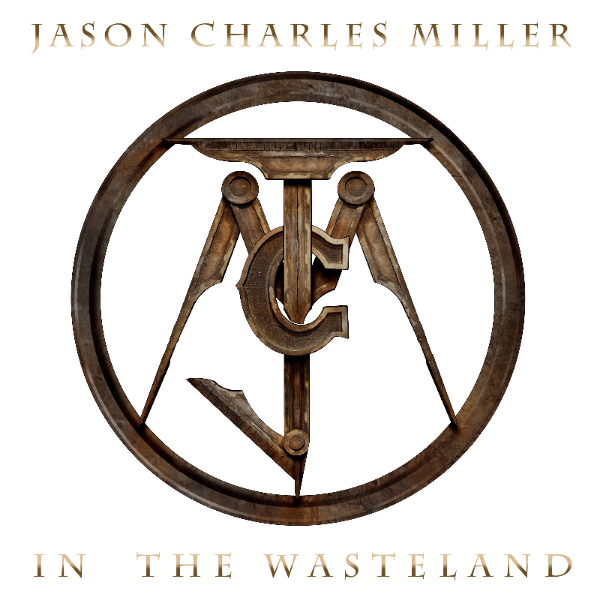 JASON CHARLES MILLER is proud to announce the upcominv release of “In The Wasteland,” his definitive new album set to come out June 15, 2018 via RED MUSIC/ SONY. Mixed and produced by Grammy Award-winner Matt Hyde (Jonny Lang, No Doubt, Deftones) and featuring drummer Kenny Aronoff (John Mellenamp, John Fogerty), “In The Wasteland” showcases 11 tracks that blur the lines between Southern Rock, classic country, and the outlaw attitude that has earmarked MILLER‘s career as a singer, songwriter, producer and performer for more than two decades and over a dozen releases. “In The Wasteland” includes guest performances from the likes of Lynyrd Skynyrd guitarist Rickey Medlocke and keyboardist Peter Keys, legendary Soul vocalist Brenda Lee Eager (Stevie Wonder, Ray Charles and Diana Ross), Blackberry Smoke vocalist Charlie Starr, King’s X frontman Dug Pinnick, guitarist Duane Betts (son of founding Allman Brothers guitarist Dickey Betts), guitarist Adam Shoenfeld(Tim McGraw, Jason Aldean) and ‘Cowboy’ Eddie Long (Jamey Johnson). The album’s debut single, “Hundred Pound Hammer,” is available now across all digital streaming platforms and can be instantly downloaded as an instagrat track with all digital pre-orders. Originally from Clifton, VA, MILLER currently resides in Los Angeles, CA where he runs the successful recording complex, Central Command Studios. Having been formerly known as the frontman and founder of acclaimed rock band GODHEAD — who were signed to Marilyn Manson’s label, Posthuman Records, selling over 250,000 albums and touring internationally with heavyweights including Manson, Ozzy Osbourne, Linkin Park, Disturbed, Rammstein, and Jonathan Davis (KORN) — MILLER has co-written songs with a genre-crossing who’s who of artists including Billy Ray Cyrus, Ben Moody (Evanescense), Chuck Goff (Toby Keith Band), Driver Williams (Eric Church Band) and Paul Anka. He has achieved three Gold Record Awards for sales, and his music has been heard on popular tv shows, films and video games including HBO’s True Blood and Hung, WWE Smackdown, The Guild, Queen of the Damned, The Punisher, Disney Channel’s Teen Beach Movie and Metal Gear Rising: Revengeance. Check Out Phinehas On Headlining Tour with Earth Groans and Vans Warped Tour this Summer!